﻿Andrew JiYu Weiss is a long-time meditation student and teacher who is devoted to supporting his students to realize full awakening in each moment of their lives. He is deeply grounded in the Buddhist tradition, and has added to that significant practice and study in the Hindu tradition and a strong association with Meher Baba. 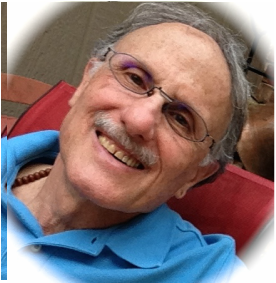 To all of his teaching, he brings his fusion of mindfulness, zen, devotional practice, and energy awareness. Andrew has studied Buddhist meditation for many years in the United States, Europe, and Asia. His early studies of Zen focused early on in the Korean tradition with Zen Master Seung Sahnh and Zen Master Su Bong. In 1989 he met the Vietnamese Zen monk Thich Nhat Hanh, and in 1991, he was ordained a Brother in Thich Nhat Hanh's Order of Interbeing. In 1999, he was ordained by zen priest Claude AnShin Thomas in the White Plum Lineage of Japanese Soto Zen. Through his wife Avril, Andrew has spent time practicing in the Siddha Yoga Meditation community. Andrew served as the abbott and one of the founders of the Clock Tower Sangha in Maynard, Massachusetts, USA from 1996 to 2006, and of the Open Path Sangha in Raleigh, North Carolina until 2017. He was a regular meditation teacher at Unity of the Triangle in Raleigh, where he also served as a Prayer Chaplain, and at the Cambridge Center for Adult Education in Cambridge, Massachusetts. He has also taught meditation practice in other churches, yoga studios and adult education forums throughout the United States. He is the former instructor of mindfulness practice and client management at the New England School of Whole Health Education, where he also served as Dean of Students. Andrew served as president of Zaltho Foundation, a Zen Buddhist church founded by Claude AnShin Thomas and dedicated to the eradication of violence and neglect worldwide. His eclectic background includes education and training in optics, law, and conflict resolution. Andrew and his wife Avril live in greater Brisbane, Queensland, Australia.